The Insert Medallion series is available in Gold, Silver and Bronze. 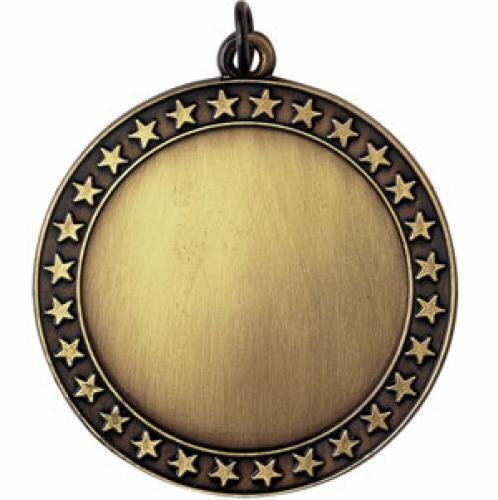 Engraving on each medallion personalized on the backside. Medallions come with a neck ribbon. Choose your ribbon and insert when you add your choice of medallion to the shopping cart. Available in Bright Gold, this 2 1/4"medallion has a unique glitter enamel border giving the look of precious rhinestones. Accepts 2" full color or Mylar inserts.